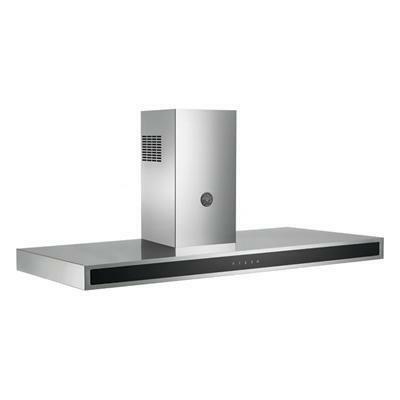 Bertazzoni 48" wall mount Design Series canopy hood, offers a sleek contemporary style with steel-encased glass and touch controls. It is a perfect match for the Bertazzoni Design Series wall ovens and segmented cooktops. Available with an efficient yet quiet 600 CFM motor and stainless-steel baffle filters, it can be installed for recirculation or ducted extraction. Additional Information Full touch controls; CSA certified; Blower: 1-3 speeds; 2 halogen lights; Baffle stainless steel filters. 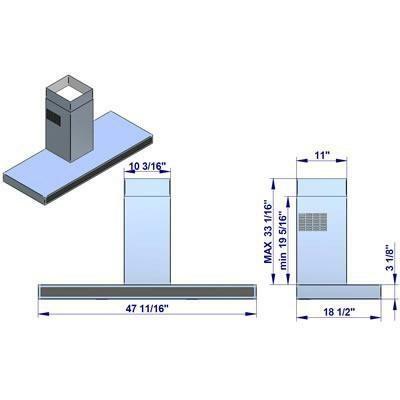 Additional Dimensions Distance from worktop 25 1/2".